We’re not sure what’s in the Gotham water; that stars alluded to a Season 3 Harley Quinn cameo that never came to pass, but water is the least of Bruce Wayne’s troubles in Season 4. Instead, Monday’s two-part season finale revealed that a major DC baddie has been right under our noses all along, and will undoubtedly return next year. You’re warned of full spoilers for both halves of Season 3 finale “Destiny Calling” and “Heavydirtysoul,” but whatever easter eggs and Bat-references shone over Gotham, none of them pointed toward any sort of proto-Harley Quinn. 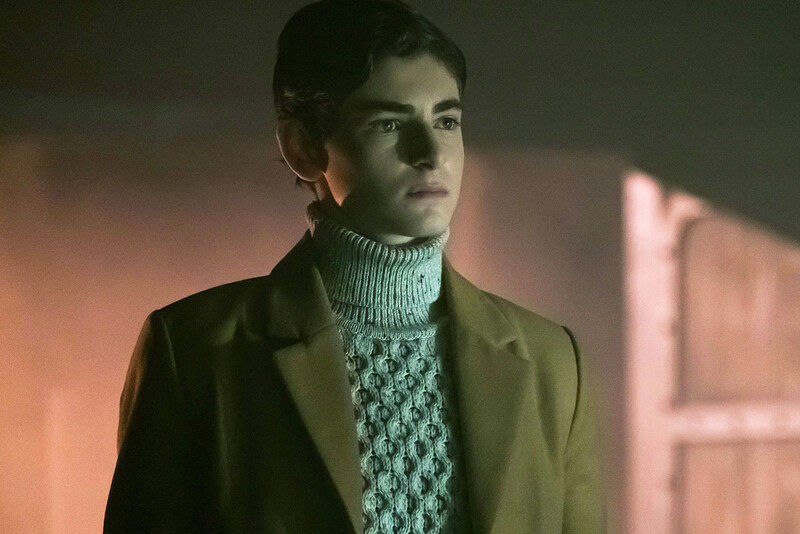 Executive producer John Stephens had previously alluded to the fan-favorite character somehow setting up a role in Season 4, and star David Mazouz himself reportedly confirmed the finale appearance, but fans were left in the lurch. As TVLine puts it, even Barbara Kean’s electrocution “was not [a nod to Harley Quinn], nor are there any plans at this time for HQ to surface on the TV series.” We can’t say the prospect made much sense in the first place, but Bat-fans had plenty more to choose from, including the brief appearance of Alexander Siddig’s Ra’s al Ghul, Selina Kyle cracking her skills with a whip, or Penguin plotting his new “Iceberg Lounge” around the centerpiece of a Freeze-frozen Edward Nygma. Oh, and Bruce has taken to wearing a mask, beating up muggers in alleyways, and gazing pensively off rooftops. All healthy stuff for a teenager with a few boxing lessons under his (utility) belt. All that said, Gotham’s Season 3 finale had at least one surprising card to turn over, and we don’t mean the Joker. Poor Butch Gilzean miraculously survived a bullet to the head, only to have his real name uncovered in the hospital: Cyrus Gold! As in “Solomon Grundy, born on a Monday,” the whole spiel. Rumors of the character’s Gotham debut have been floating for months, and will presumably now come to pass in Season 4. We’ll see what shakes out with regard to that whole Harley Quinn mix-up, but is Solomon Grundy at least a promising start for Season 4? What other Bat-baddies should Gotham throw into the mix, now that Bruce has taken to teenage vigilantism?